Spring is the time when gardeners rejoice. We place seeds and seedlings into the fertile soil and new hopes for a coming harvest take root. Whether your garden is big or small it takes a certain tenacity each year to overcome growing challenges and have a successful growing season. What are your best gardening secrets? What are the best ways to grow organically? How do you fertilize naturally? Do you practice ‘no-till’ or ‘square foot’ or ‘deep bed’ gardening? Are you a permaculture ninja or maybe a wannabee? Do you feel ashamed of your green thumb or do your potatoes sprout in your kitchen drawer? Do you find that you have no time to grow your own food – or is it your full time vocation? The topic of garden growing is vast and we all are learners in the school of producing food. 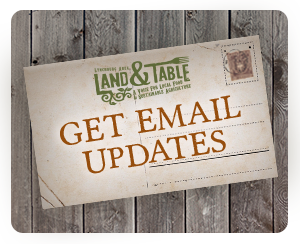 No matter where you are in your journey back to the land – come ready to share your best resources, seed catalogs, favorite books, methods, techniques, tools or just questions and gardening woes. 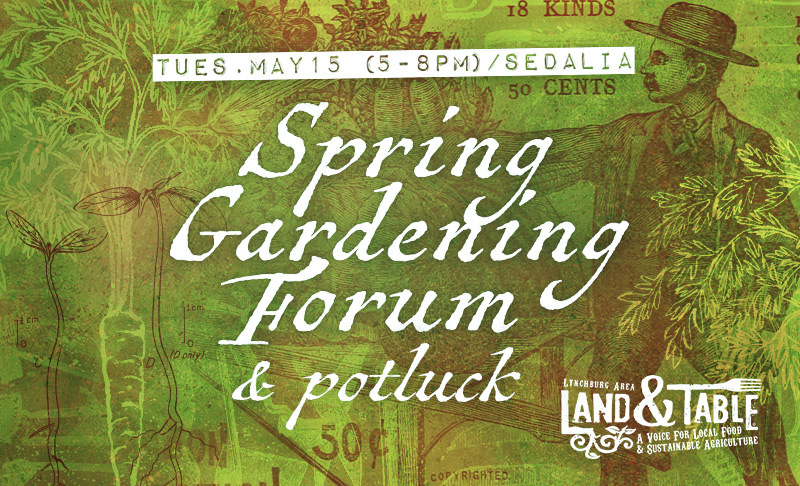 Join us Tuesday, May 15 (5-8pm, come early for networking, arrive by 6pm to eat) for this month’s Land and Table potluck and Spring Gardening Forum in Sedalia (northern Bedford County). Actual meeting location will be confirmed closer to the gathering. – Cash donations welcome. Help us keep these potlucks going.